The M'00 Pokemon you'll sometimes see thanks to the MissingNo. glitch will evolve into a Kangaskhan. 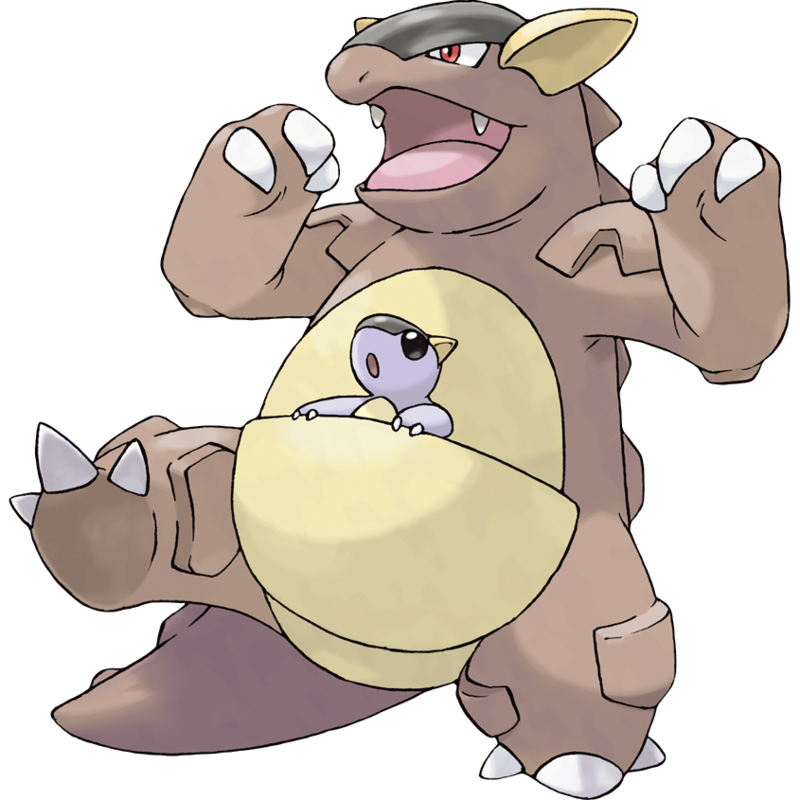 Kangaskhan can theoretically learn four HMs because of the aforementioned glitch. M'00 learns Cut and Fly, while an actual Kanga learns Surf and Strength. The original HM slave! Anyway, onto the battling ability: Ol' Mr(s). Khan is not too shabby in a number of categories. HP is crazy high, Attack and Speed are both very good, Defense is above average, and Special...well, four out of five ain't bad. Kangaskhan also learns a buttload of moves, but of course, that dumb Special prevents many of them from being useful. I still think tossing Blizzard or Thunder on is worthwhile just to be able to deal with a few other types. It's one of the rare instances where Thunder is a better call that Thunderbolt. You'll need that extra power, so you can sacrifice a lil accuracy. Earthquake is a fantastic choice, as well, and if you don't go for Blizzard/Thunder you should absolutely have Rock Slide involved. Take your pic of Body Slam/Double-Edge/Hyper Beam for the Normal-type move, throw Submission on there to get rid of fellow Normals, and you should be good to go. And when you good to go, then the going is good.